Acrylic, ink and pencil on Rives BFK. 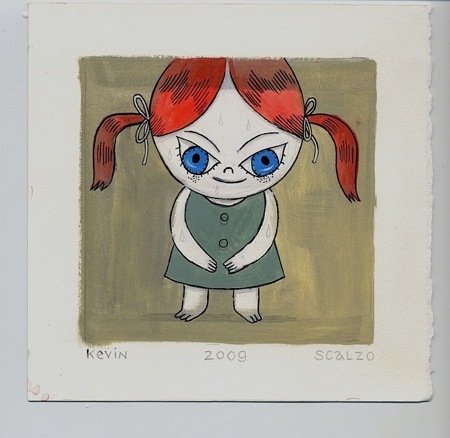 Art measures 7"x 7". Signed on bottom and on the back.